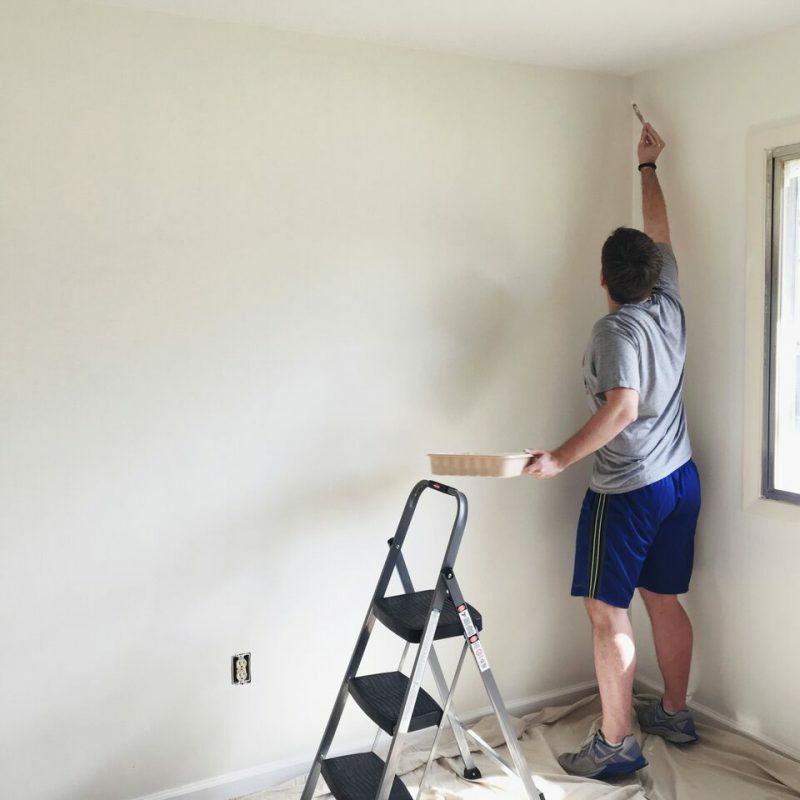 One of the the big things on our to-do list was to get the nursery cleaned out and painted. Well, at the end of March I got rid of a lot and this weekend Brian painted! We went with Behr Swiss Coffee. It’s the same color as my office which is across the hall. It’s a soft white and I love how it feels when the sun is streaming into a room – and when it’s not it’s still a soft, cozy color. I’ve been dreaming about designing my child’s bedroom since I was a kid myself, so while I was looking forward to picking things out, it was also a little overwhelming. So many people have asked me if I picked a theme for the nursery. My initial thought is always do I have to?! I knew that I wanted to stick with a lot of neutrals and then add some pops of color, but narrowing that down was tough. I didn’t want all the elements of the nursery to be baby-ish, knowing that toys and books would bring that to the room on their own. When we found out we were having a girl, some specific nursery colors started coming to mind. From there I started scouring the internet for what seemed like FOREVER, but I finally found a few things that go together that can serve as our jumping off point. These are all things that I’ve either registered for or bought, and I’m excited to see how the rest of the room goes from here! 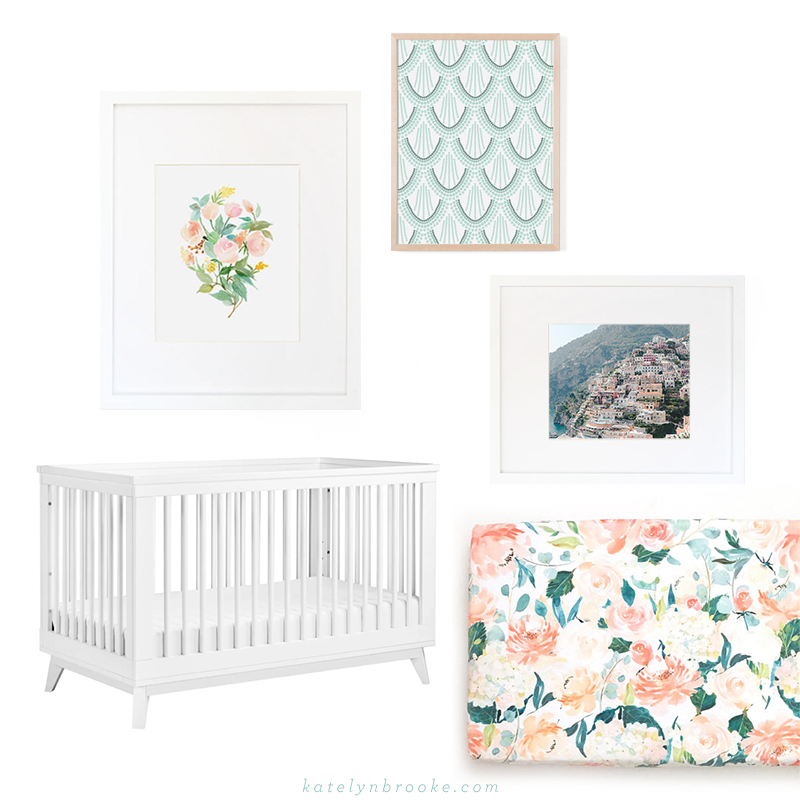 I really want to get a glider for the nursery, and a rug of some kind. It feels like I’ve looked at every pink rug on the internet but now I’m thinking I might go with something neutral to add more texture. We’ll see! Now that I’ve got something established I’m having a lot of fun with this part. Do you have any favorite stores that you shopped when decorating a nursery? I feel like I’ve exhausted all my options but I know I’m missing some!